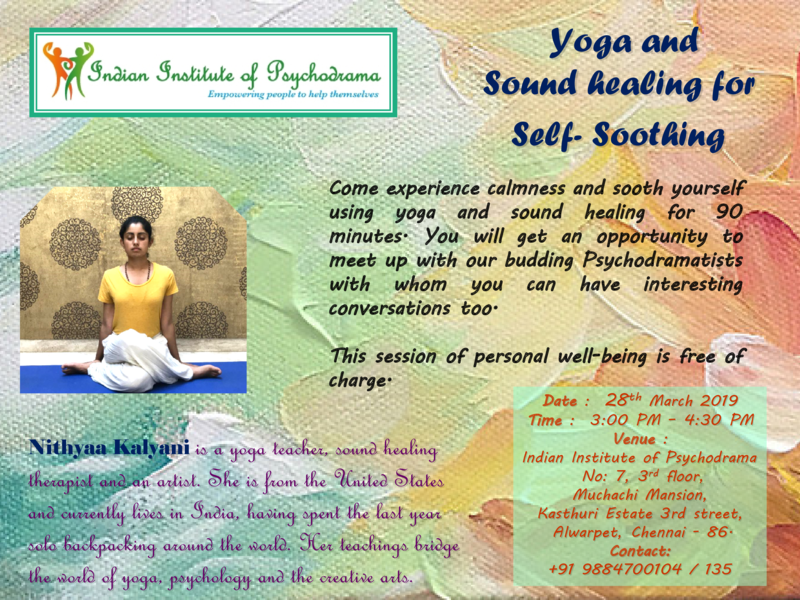 We are organising YOGA AND SOUND HEALING session in collaboration with Ms. Nithyaa Kalyani. 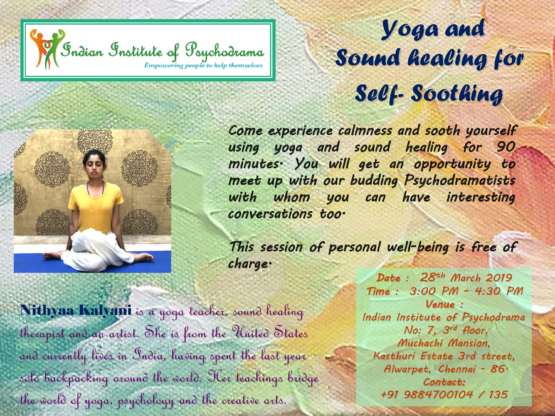 This workshop is predominantly to experience the sense of peace and well-being gained from the practices of Yoga and Sound healing under the safe guidance of our sensitive and empathetic facilitator, Ms. Nithyaa Kalyani. Come experience calmness and sooth yourself using yoga and sound healing for 90 minutes. You will get an opportunity to meet up with our budding Psychodramatists with whom you can have interesting conversations too. 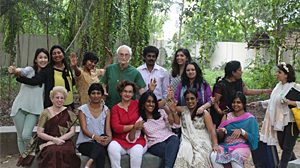 Nithyaa Kalyani is a yoga teacher, sound healing therapist and an artist. She is from the United States and currently lives in India, having spent the last year solo backpacking around the world. Her teachings bridge the world of yoga, psychology and the creative arts. You will be joining our fresh batch of students of Psychodrama in this well-being session.